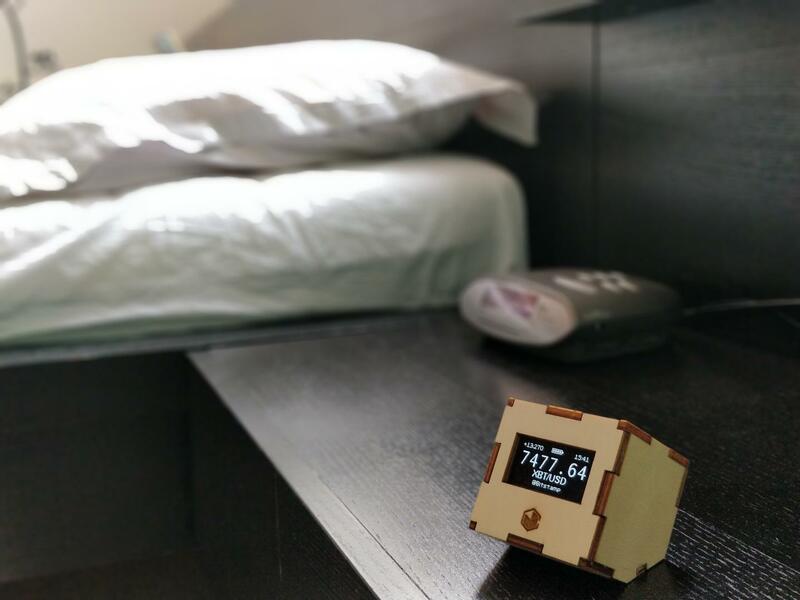 The TicrThing is a wireless friendly cube that shows the exchange rates between crypto and national currencies right at your desk. 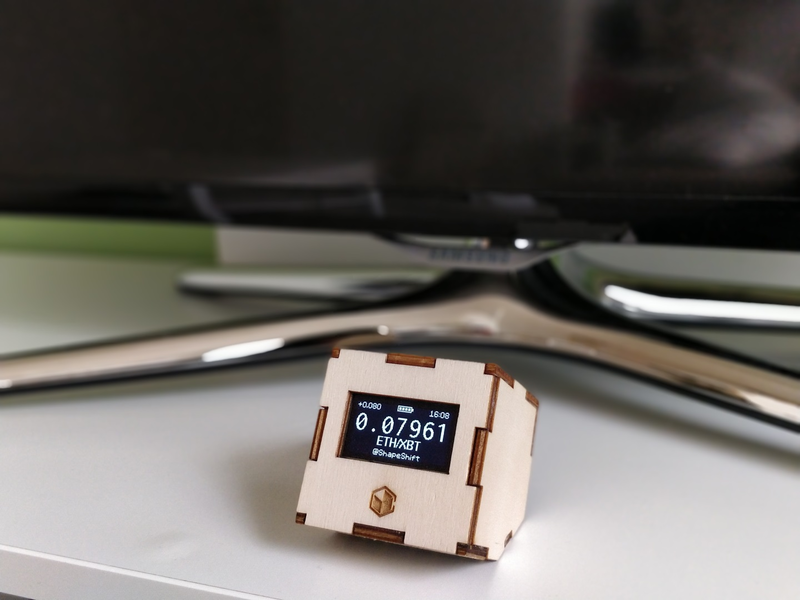 It's is a geeky gadget that keeps you up-to-date with the price swings of crypto-currencies. Checking the bitcoin price on your phone is just too slow. 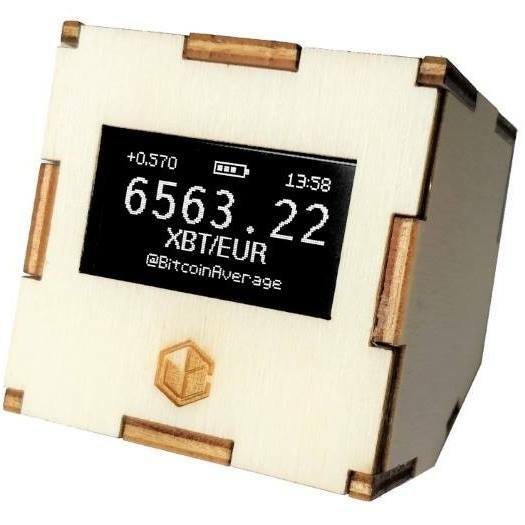 The TicrThing puts the crypto rates an eye glance away, hands-free. 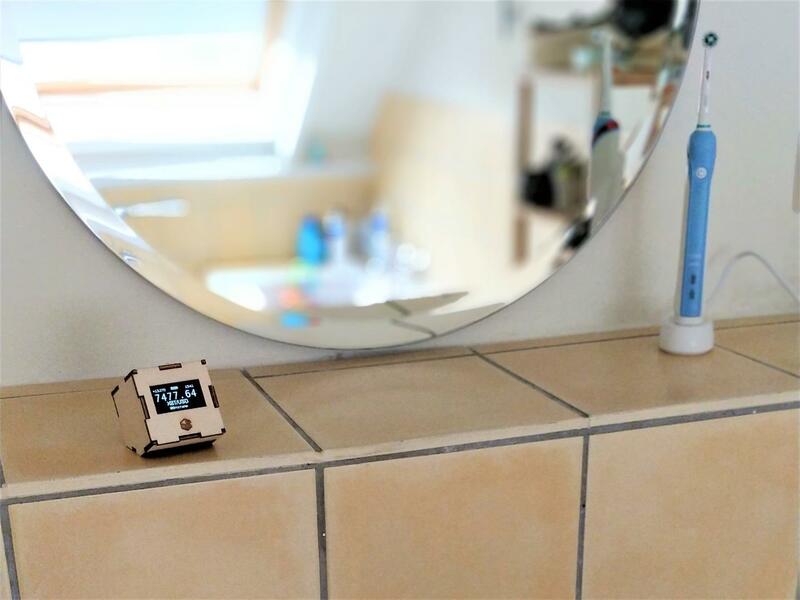 It's as simple as checking the time. What price is it right now? Highly configurable: - 123 currency pairs - 11 exchange markets - 3 possible denominations - 30s - 60m adjustable update interval - Configure via standard browser over wi-fi Technical specs: - Integrated Li-Ion battery lasting a week - Recharges in 1 hour via micro-USB cable (supplied) - No cables needed for operation - Two resting positions for optimal visibility - Adaptive price range: 0.00001 - 9999999 - Size: 5x5x5 cm (2x2x2 in.) - Weight: 50 g (1.76 oz.) Flat rate shipping to any part of the world.